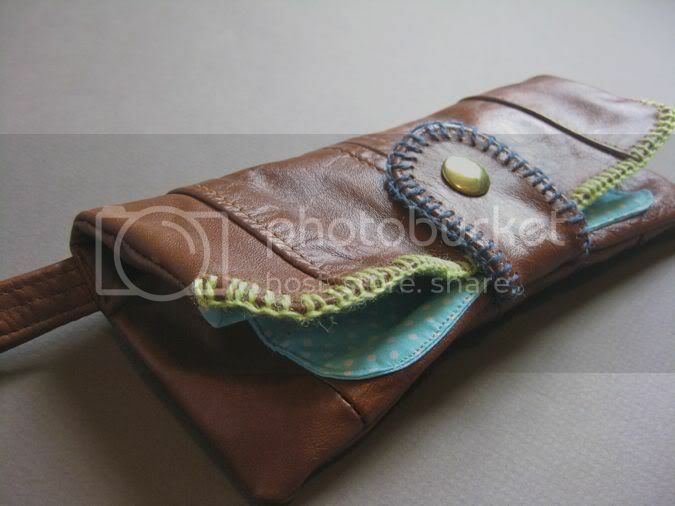 One of my first attempts at recycling leather. 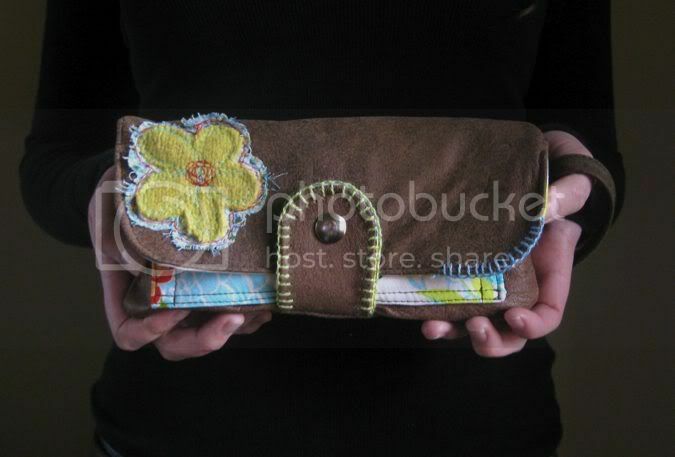 I loved this clutch. 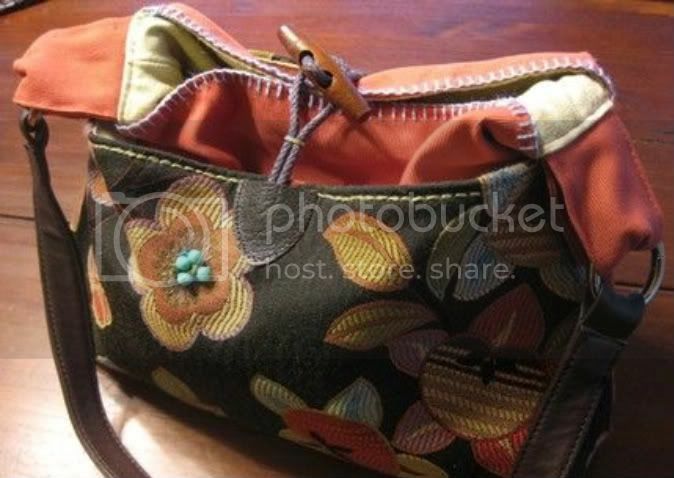 I began using a model - trial and error - and this is one of our "do not use" photos. 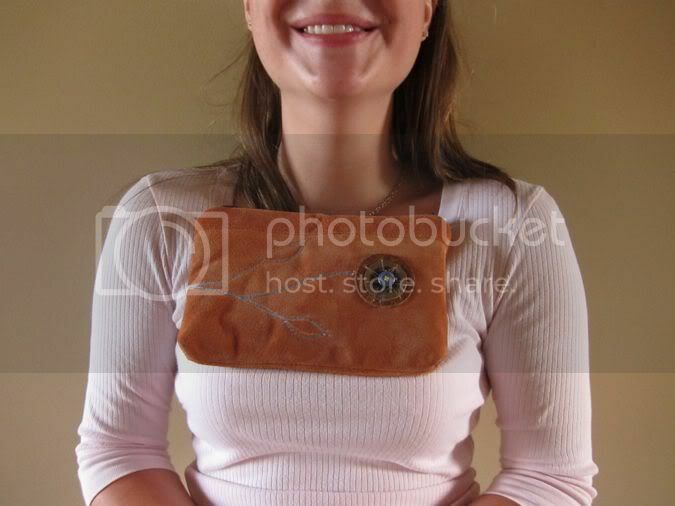 The clutch adhered to her knit top. Attractive, don't you think? Silliness run amok. My first "attempt" at modeling. This was and still is one of my favorite clutches. 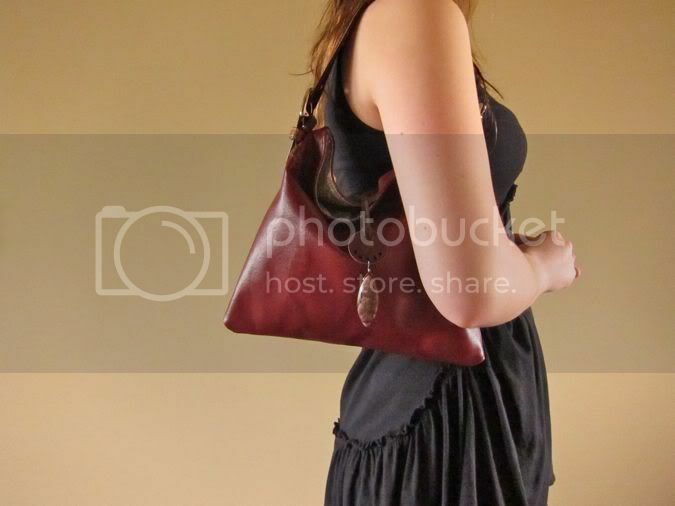 A full-sized leather bag. My old Singer was beginning to creak just a bit...and whimper. We discovered, quite by accident, that Sophie was a camera hog. 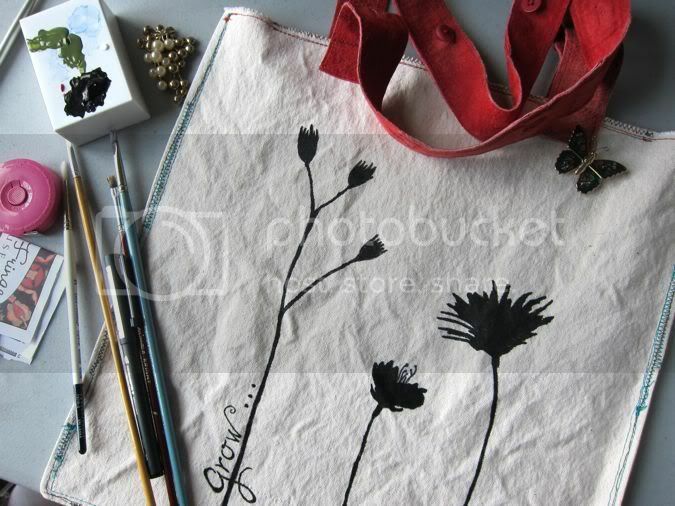 I broke out the canvas and painted a few totes. 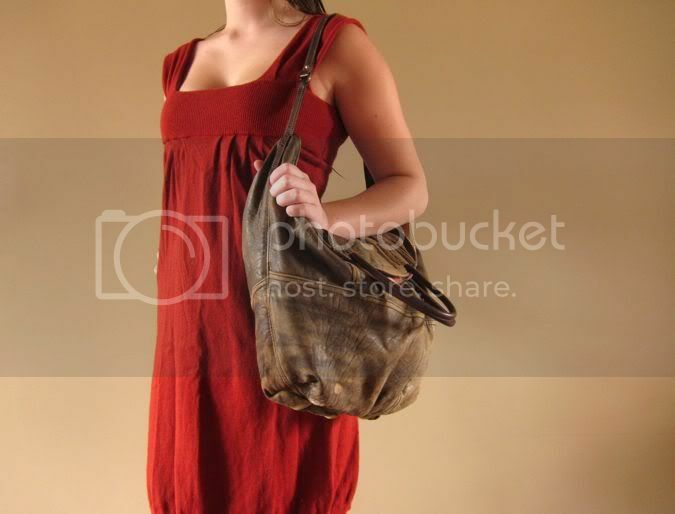 This spring, I'll be taking this concept to an extreme level with full-on painted totes and clutches. Can not WAIT! Began experimenting with photography here - photography is the bane of my existence. A seriously, serious leather bag. At this point, the Singer cringed, squeaked, and cried when I pulled the leather out. Something had to give so I purchased a heavy-duty industrial sewing machine. Sales increased dramatically each month and by October I decided to make a serious commitment to taking this thing, this new career, to the next level. The final three months of the year were an exciting, exhausting experience. My recent time away from the studio hasn't slowed things down. Time off presented the ideal opportunity to create a new business plan for 2011 and the first order of business was wholesale. Last year I turned down wholesale opportunities from, probably ten or so requests from boutiques around the country. 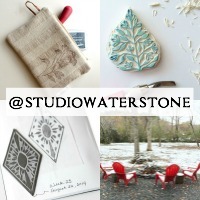 So, for 2011 I plan to expand into the wholesale market as well as continue selling on Etsy and begin to fill Studio Waterstone's Big Cartel shop. Blogging, which began in 2008 as a way of promoting my business, has grown close to my heart as a result of the wonderful relationships developed, the fact that it's challenged me to exercise my own creative muscle as well as given me the chance to keep a visual log of my work. 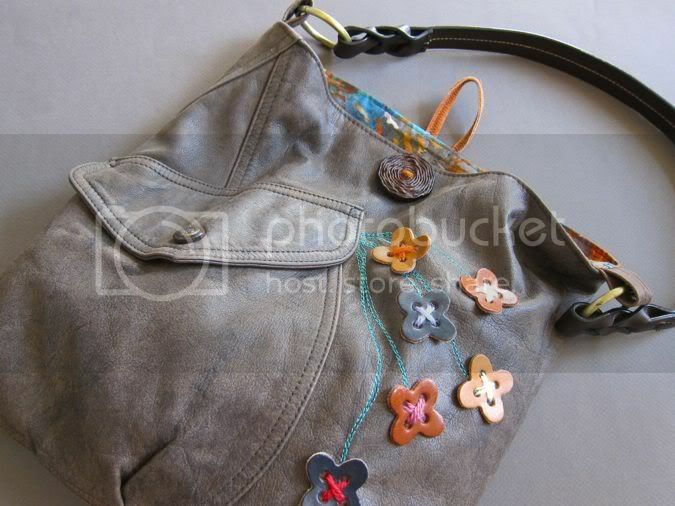 Looking back, I would have never in my wildest dreams imagined that I would begin 2011 as a design and creator of eco-friendly recycled handbags and accessories. Never. So, this is about seven days late, but I'm sending a virtual toast to all of you sweet readers (and you know who you are) to create the best, most wonderfully inspired and successful 2011. To celebrate, I'm having a W E E K E N D S A L E! 25% off EVERYTHING! Thanks! You are an inspiration! Have a great year! Congrats Lori on a successful and educational year! Growth is a wonderful thing. Wholesale.. it is a scary word to me right now... more than likely it is the creaking machine that says "I think I can .. I think I can" as she sews. I am on a full fledged lookout for an heavy duty machine.. I believe that is truly a step being able to handle growing. Wishing you a most excellent 2011! ~*~ You are an inspiration! 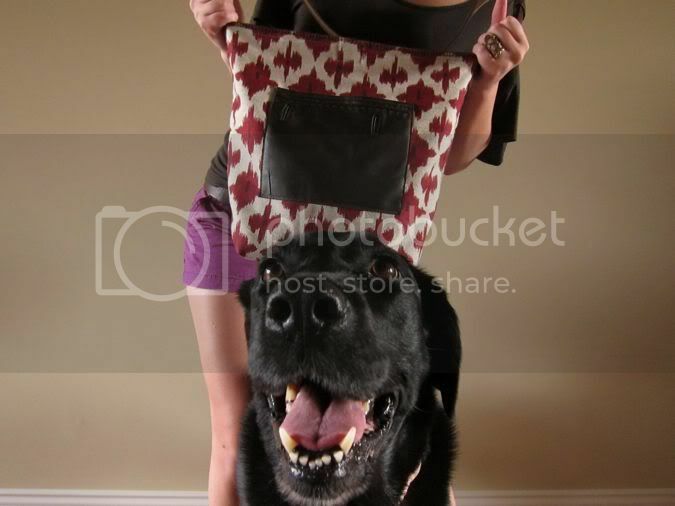 Still waiting to pounce on the perfect Waterstone bag. Thanks for sharing this glimpse into your creative journey. I love your year in review and hearing your perspective on the milestones looking back. Can. Not. Wait. To see what you make this year! Congrats Lori!! 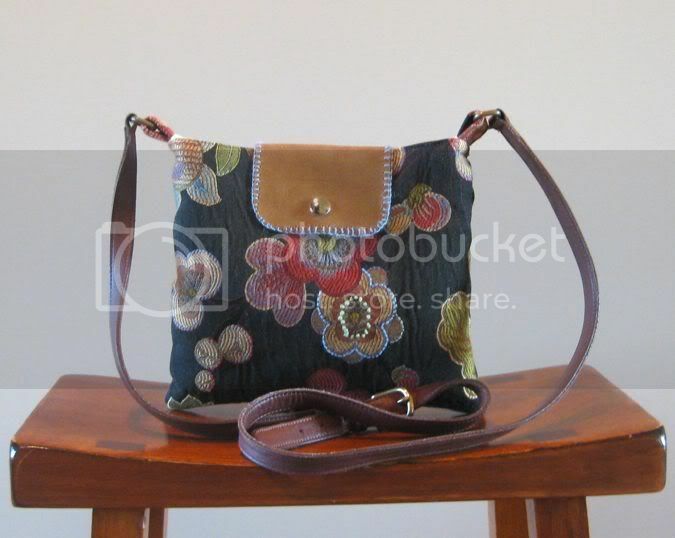 I know it's obvious that I lurve your designs, but I can't believe you've only been creating handbags for a few years!! Congratulations on your success! I loved reading about the history of your shop! You're my Hero Lori! Thanks for the inspiration!!! Nice sharing of your creative journey. Inspire me! By the way, I come here to inform you that you have been given a Stylish Blogger Award by me :-) It works like tag post. Just tell 7 things about yourself and pay it forward to other 15 blogs that you like. I loved reading your story! 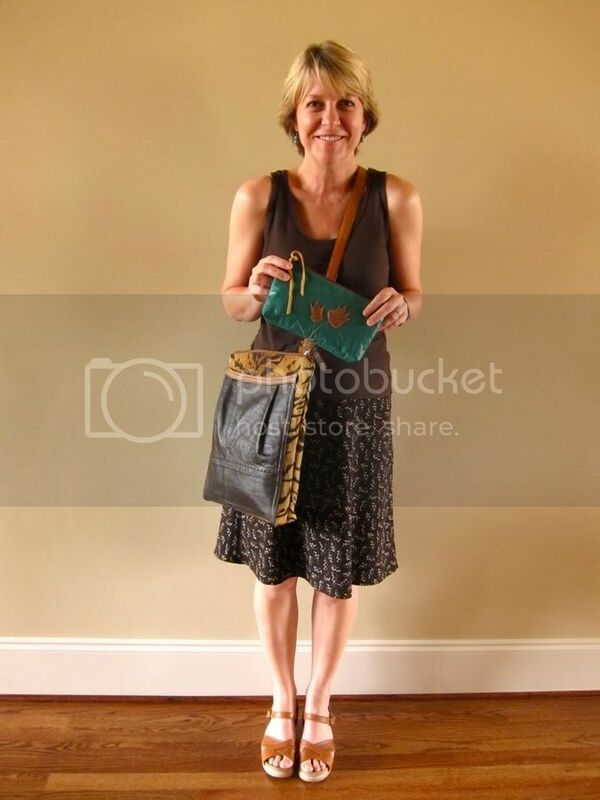 I had wondered why your shop was Waterstone Jewelry - I saw a few pieces of Handbags are definitely your gift, I love all of them. Can't believe photography is the beign of your existence! Crazy - I use your shop to show examples of the perfect photos on Etsy!! I love reading your blog. Your creations are unbelievable and truly inspiring. I pray 2011 brings you much success. When ever I hear "evolution" I think of this guy! Thank you Justine! Yeah, I was going to put in in the blog, but it just didn't seem to fit in. lol. Thank you to everyone for your positive comments! You're the best. What a wonderful year you have had and I just hope it just keeps on getting better for you! I will say this again, I LOVE MY BOMBER BAG! Have a great year! That's right, Beth! That last bag is yours thanks to your dear mom. that is so wonderful! I am very happy for you! you do such beautiful, quality work I am very impressed (and not a little bit envious.) congratulations and good luck to you this year! Congratulations Lori! I am only a recent reader so it is lovely to have had a visual walk through your journey! I love that clutch too, beautiful lining peeking out. I hope that 2011 continues to be a brilliant year for you and your business! I'm glad you shared your year in review as I am new here. What amazing progress. That is fantastic that you have expanded your business goals and I wish you continued success in 2011! You are such a talented artist - I know that I will be continually inspired by you. Thank you for sharing. 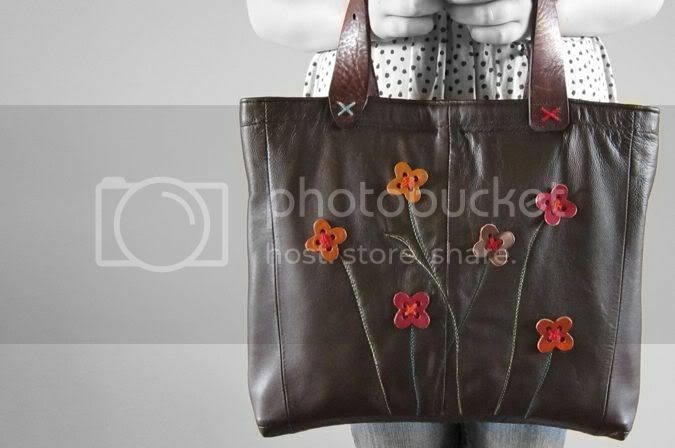 Love that full-sized leather bag with the flowers. Yum! you've come a long way, lady! You're still my etsy entrepreneurial star.